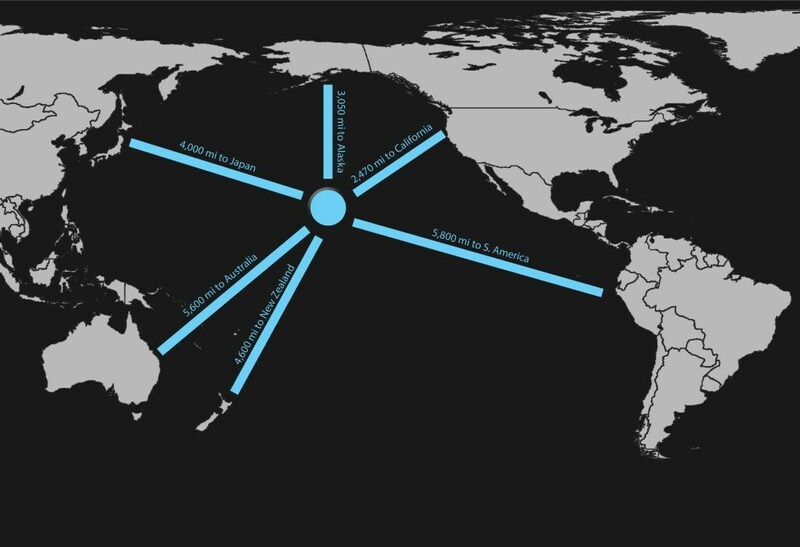 Where Does The Surf In Maui Come From? You are here: Home / Blog / Instructional / Where Does Surf in Maui Hawaii Come From? There’s nothing like the feeling of riding a wave and feeling the ocean breathe. Undulating, calming, and laden with energy, waves have a way of stopping time and harnessing a rare tranquility. Here on Maui we are blessed with waves, and from one foot rollers that are perfect for longboarding to the 70 ft. waves at Jaws, Maui is an island that is fortunate to have waves on almost every day of the year. Have you ever wondered, however, why some waves are only one foot when other waves can be 70? Or why is it that one beach can have overhead waves when ten minutes away it’s flat? Before we can begin to answer that question, it’s important to understand that the Hawaiian Islands are the most isolated landmass on Earth. Gloriously marooned in the middle of the Pacific, the Hawaiian Islands sit nearly 2,500 miles from the nearest mainland continent. 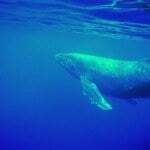 Though it ends up making for a long plane ride, the fact that Maui is surrounded by ocean is crucial towards understanding where the surf in Maui comes from. 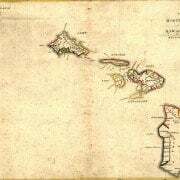 Looking at the island itself, it’s also important to understand that, for all intents and purposes, Maui essentially has two main shores—the north shore, and the south shore. In addition to including areas which face north, the north shore of the island can also mean anywhere that is affected by a northerly swell. 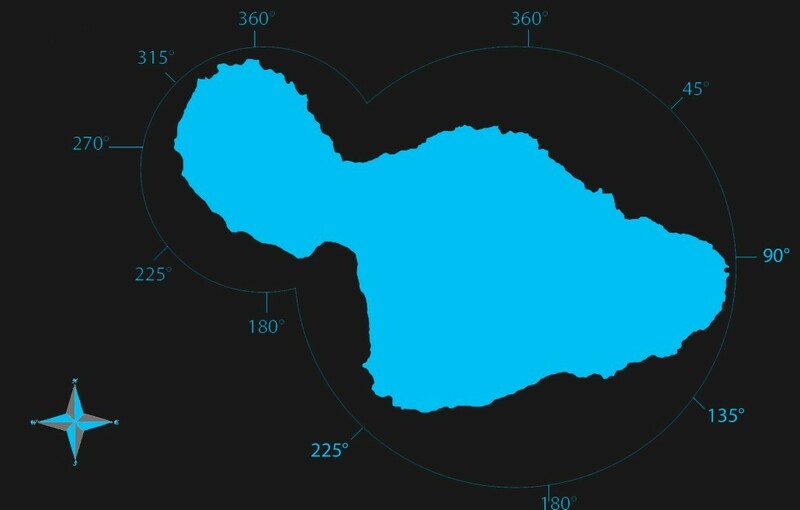 For Maui, this translates to the area between Ka’anapali and Hana, since they fall in the “northerly” quadrants of 270° – 90°. For the south shores, anywhere within the southerly quadrants of 90° – 180° will be prone to waves which approach from a southerly direction. 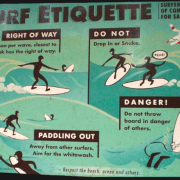 This includes the areas of Lahaina, Olowalu, Ukumehame, Kihei, and Makena, which is where all of our Maui surf lessons take place. OK, but WHERE does the surf in Maui actually come from? In the purest sense, waves are simply a product of wind acting upon the water. Imagine you have a bowl of water in your kitchen which you then place in front of a fan. When the wind from the fan blows onto the water, you have essentially created very small waves. Now, take that same concept, except instead of a bowl of water you have the entirety of the Pacific Ocean, and to replace the fan, you have raging storms with hurricane force winds which move across the Pacific. As you might imagine, stronger winds translate to larger waves, which then in turn begin to diminish in size as they move away from the storm source. To put it another way, imagine you throw a rock in a calm pond, and it sends ripples out in every direction. For the sake of example, the rock in this situation is the storm moving its way across the Pacific, and the ripples which are sent out are the waves which emanate from the storm. As the ripples get farther and farther from where the rock struck the water, the ripples, consequently, will also become smaller, and such is the case with waves as they move across the Pacific. 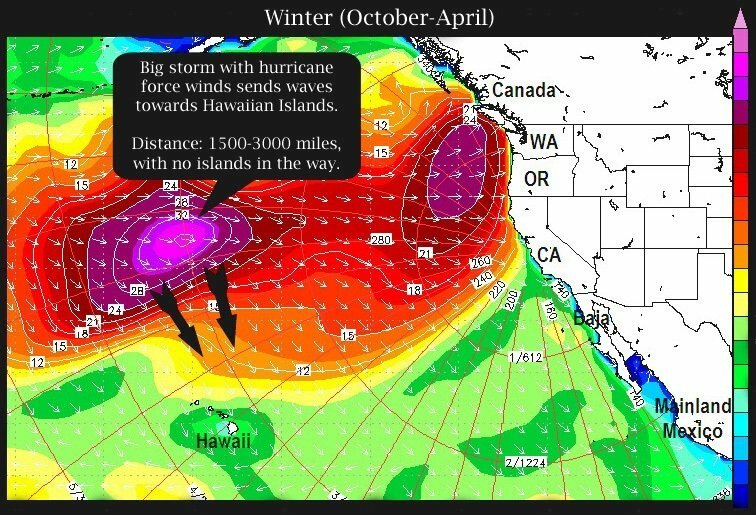 During the winter months of October-April, large winter storms moving south of Alaska send waves towards the Hawaiian Islands. Usually the storms are about 2,000 miles away, and the Hawaiian Islands are the first place to receive the brunt of this energy. Consequently, the north facing shores during the winter months can see waves of up to 30 feet. 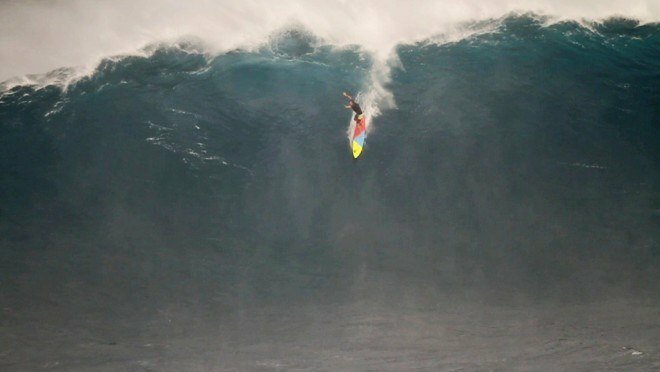 At certain breaks such as Peahi (aka “Jaws”), the waves can grow to over 70 feet during the largest swells of winter. 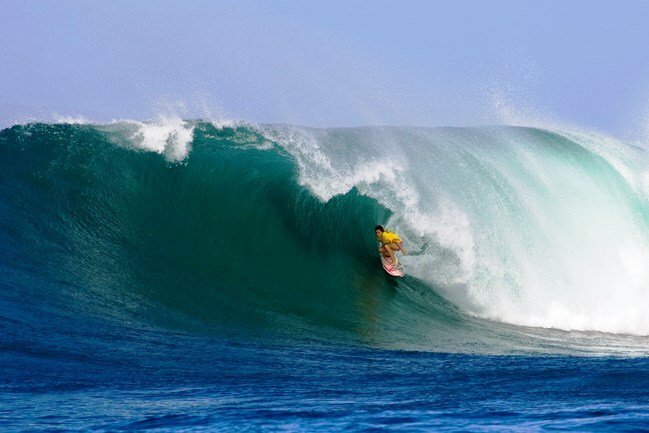 At breaks such as Honolua Bay on the northwestern coastline of the island, 20 ft. waves such as the one below create one of the best surf breaks in Hawaii. Ok, so the surf is huge in winter on the north shore due to large storms south of Alaska. So what about the summer? Summer, on the other hand, is when the breaks on the north shore go dormant and flat. Instead of storms churning south of Alaska, winter takes over in the Southern Hemisphere and storms rage south of New Zealand. As these large, hurricane force storms push their way across the South Pacific, large waves are again generated and make their way towards Hawaii. As you might imagine, it’s now the south shores of the Hawaiian Islands which are exposed to the waves in the Pacific. The difference between summer and winter, however, is that not only do the waves travel a much greater distance, but there is an entire slew of South Pacific islands which absorb a lot of the energy. Consequently, by the time the waves finally do reach the shores of the southern coastline of Maui, there is enough energy for a 2-10 foot wave but not usually much more. 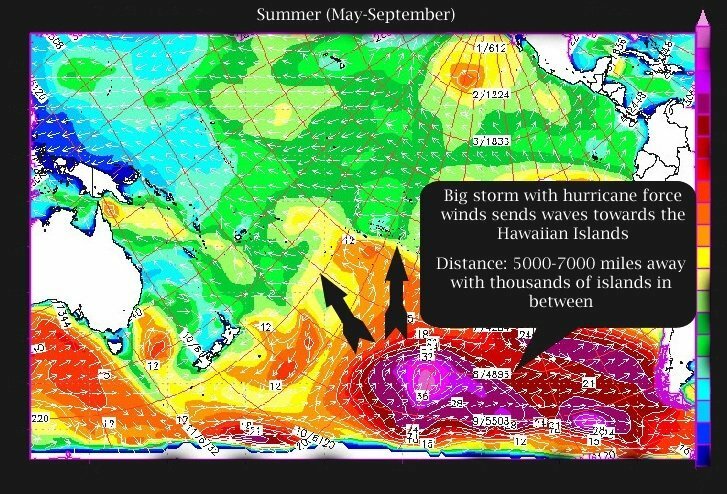 This explains why areas such as Lahaina will have smaller waves than Paia, and why the waves in Lahaina are bigger in the summer and Paia is bigger in the winter. 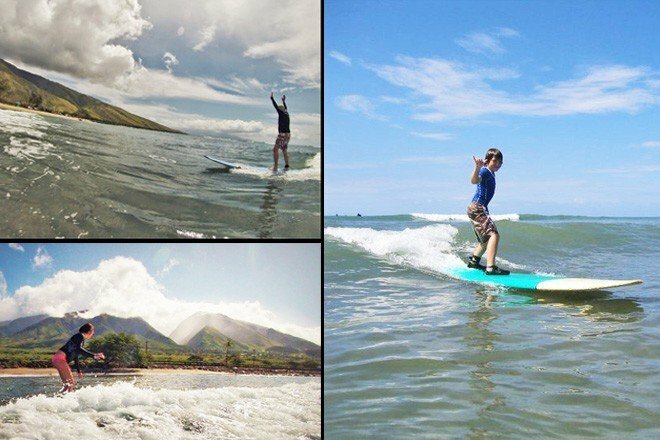 Just because the waves are smaller, however, doesn’t mean that they aren’t still fun, and these smaller waves are what we prefer for teaching our private Maui surf lessons. 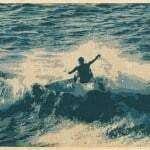 Still have questions about the surf in Maui? Leave us a note in the comments below!